Yes, support for Calendar Views is what is cooking up at iFreeTools and it is already available in our labs deployment : iFreeTools Labs. All records which have a date or a date-time field will now have an option to view the records in a Calendar View as shown below.. 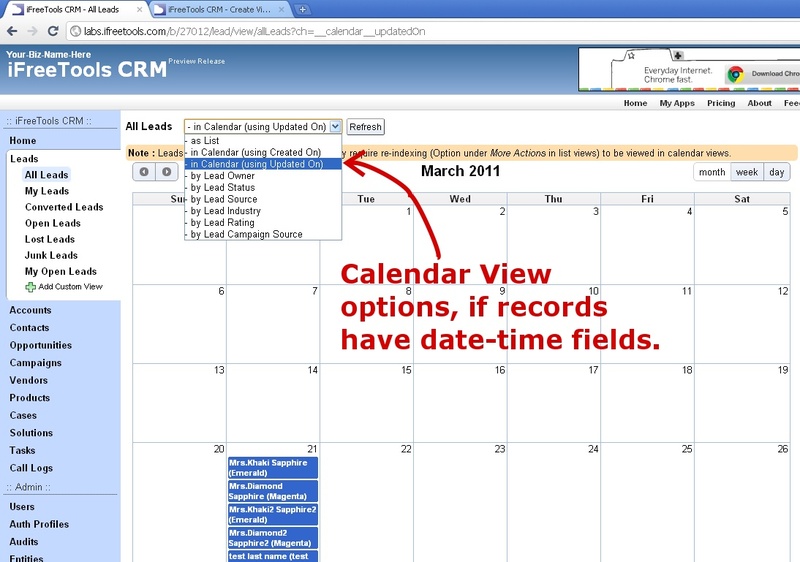 The calendar view will have options to view the records based on Month, Week or Day. 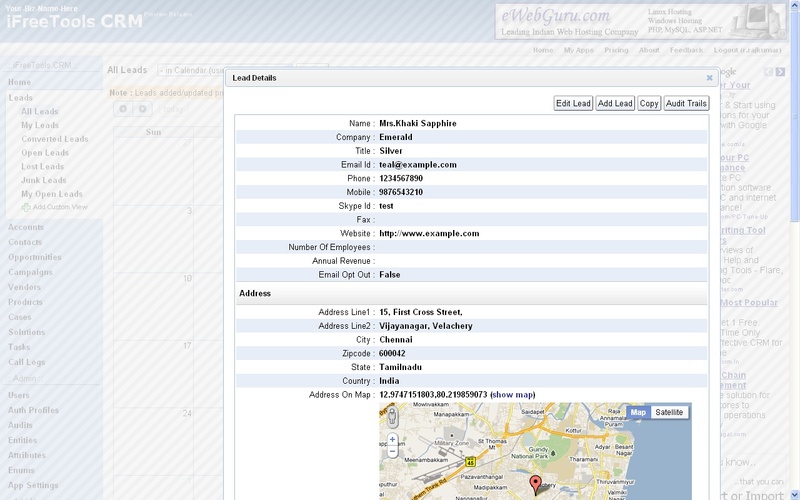 The details view is also loaded via AJAX, as shown below, without you having to leave the calendar view. The feature will be rolled into your affordable CRM for Google Apps and your favorite custom database app builder for Google Apps, in the coming days. 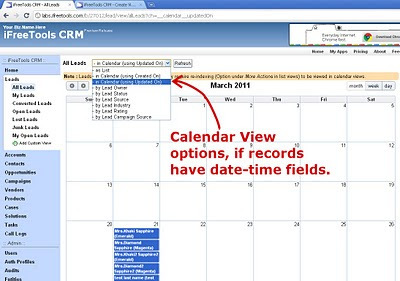 The current feature uses any one date/date-time field, at a time, for the Calendar View. We will be coming up with an option to specify start & end fields too, so that you can have the events span across hours and days too. And together with that you will have an option to export the data to Google Calendar in iCal format. Hope you like the new feature. Do keep sending in your valuable suggestions.